Before savoring a single bite of Xevichez's truly-exceptional sushi offerings, my husband and I already knew we were "home." Multiple sporting events played on giant flatscreens while my favorite alt-rock tunes pumped from the speakers. Young, hip, smiling hosts greeted us upon entry and our server was perky, ever-present and impressively knowledgeable about the source, cuts and quality of the food we were about to enjoy. I was instantly put at ease; my status as a "sushi amateur" often leaves me feeling awkward at other establishments, even when accompanied by my pro-level connoisseur hubby. Not at Xevichez. I went from happy to elated once we dug into our first plate, which was prepared just for me. (No, really. Our waitress asked if I had any preferences and she communicated all of them to the chef. I was rewarded with a habanero sauce after sharing my affection for extra-spicy food.). I learned that this kind of special treatment is standard practice for Xevichez. It isn't a chain; there are only two and the brand is family owned, which is increasingly obvious after experiencing the high quality, the distinctive special hand-crafted sauces, the way each chef is encouraged to make every menu item just a little different according to his style and the feeling of community the restaurant cultivates. This is a place where everyone, from clients to chefs, is encouraged to be themselves. We didn't "eat" at Xevichez. We "experienced" Xevichez - and it was amazing. My husband can't wait to go back to watch the UFC fights, Pay Per View sporting events and all the big games. As for me, I've already planned a Girl's Night for their Happy Hour. With crab sticks, avocado and cucumber - and a generous portion of crab atop - you'd think that the star of this roll would be the fresh, flavorful seafood. It's delicious, but when paired with Xevichez's aguachile citrusy, cilantro-y green sauce, it's "OMG." This is a must order. This tempura roll is stuffed with spicy tuna that's deep fried, then topped with yellowtail, avocado, cilantro, jalapeno and eel sauce. Open wide, because this melt-in-your-mouth roll is best enjoyed big bite by big bite. Xevichez has a really special arrangement with their fish monger; their chefs handpick each whole fish in a private shopping spree every other day - something most sushi places only dream of. Every morsel is hand selected, which is ultimately obvious with the generously-portioned bites in the ultra-fresh Spicy Tuna Salad. Have someone in your party who's not into the whole "raw fish" thing? Insist that they order the lightly-breaded and fried Red Snapper. Flakey and fabulous, it's served with avocado, cucumber spirals and a bright, spicy sauce. This off-the-menu meal is so exceptional, we had to clue our readers into its existence. 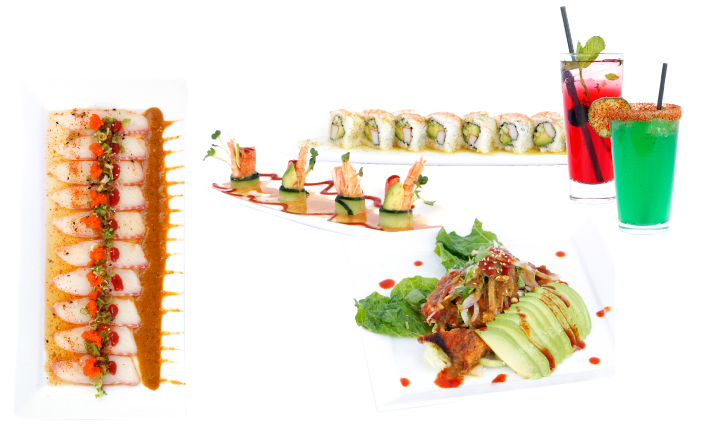 Ask for Sam, one of the best and most well-recognized sushi chefs in So Cal. If he's in and has live lobster in the tank, he'll whip up this creamy, rich delicacy that's accompanied by a sauce so deliciously secret, he wouldn't tell us a single ingredient in it.